Pilot program reduces anxiety and depression. Six years ago, WHI’s Mental Health and Substance Use Disorders Work Group identified a significant gap in services for Washtenaw County residents with mild to moderate mental health concerns. Today, that gap is, statistically, a lot less significant–particularly for low-income and uninsured patients–thanks to the Tailored Mental Health Management and Support (TaMMS) Intervention designed and run by work group members Drs. Gregory Dalack and Marcia Valenstein of the University of Michigan psychiatry department. Read more. Livingston County works to reduce frequent ED use. Each week, Lauren Richards, a complex care coordinator at St. Joseph Mercy Livingston and Ann Arbor Hospitals, gets a list of phone numbers for a handful of people who have been in the hospital emergency room recently. Richards doesn’t know the people on the list, but she’s been told that they may need health care and social services that could keep them from winding up in the emergency room again. Richards is one of a few dozen care coordinators at 11 organizations engaged in the Livingston and Washtenaw State Innovation Model, a three-year pilot financed by the Michigan Department of Health and Human Services. Read more. 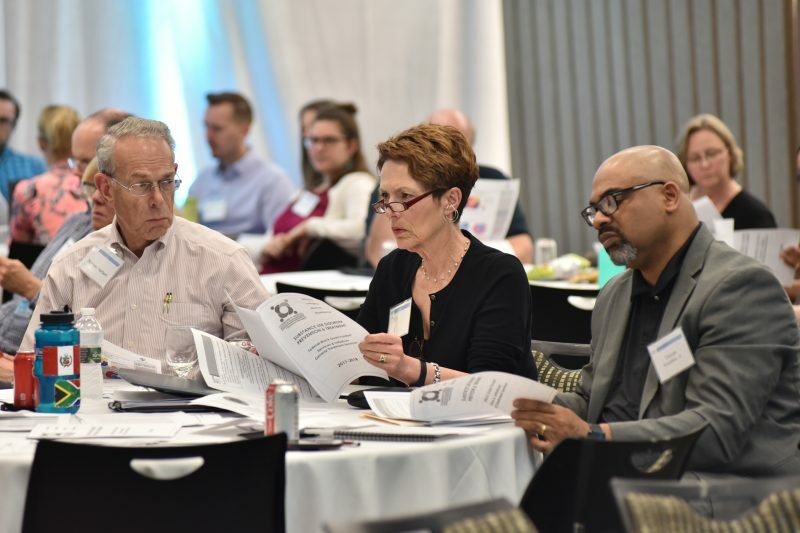 May stakeholders meeting focused on mental health and substance use in Washtenaw County. Read more. Join us for the Washtenaw County Opioid Summit on Mon., Oct. 15. Read more. An introduction to the social determinants of health and the community health innovation region. Watch the video. Livingston and Washtenaw County SIM pilot in full swing. WHI member orgs process 13,484 health care applications during OE5, prep for OE6 on Nov. 1. Welcome new members of WHI Steering Committee. Attend Michigan Community Health Worker Alliance annual meeting Wed., Oct. 24. Community Mental Health Advisory Committee issues recommendations. Pastor George Waddles earns honorary degree in community service. Care about improving health for low-income, uninsured, and underinsured people and communities across Washtenaw County? Subscribe to our e-newsletter, attend our meetings, volunteer your time. All are welcome.